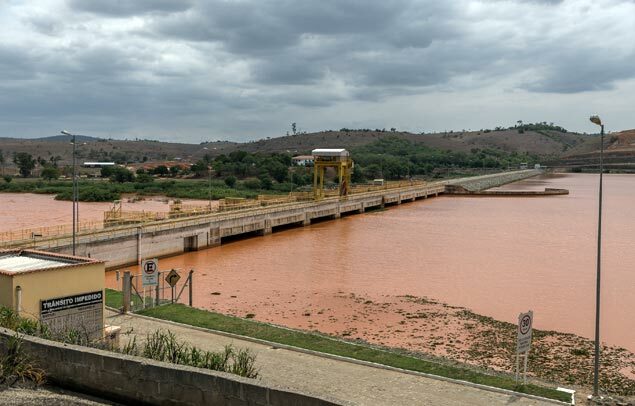 Communities in Aimorés were still demanding compensation for the construction of Aliança's hydroelectric plant (controlled by Vale), when the tailing dams failure of Samarco (also controlled by Vale) destroyed the river impacted by the hydroelectric dam. The hydroelectric power plant called 'Aimorés' is officially named 'Eliézer Batista'. It is operated by the consortium CEMIG (energy company) and Vale (transnational mining company). The hydroelectric power plant on the river Doce started to work in 2005, affecting 3 municipalities in Minas Gerais State: Itueta, Resplendor and Aimorés. An environmental conflict occurred due to the changes in the course of the River Doce, the flooding of an area larger than initially forseen, the neglect of the companies to the local practices and residents, and the non-compliance of the environmental license. The Itueta city was totally flooded and had to be rebuilt, not all residents were resettled nor compensated. Beyond that, the new town experiences frequent floods and the houses are cracking. In the Resplendor city the plant damaged the fishery, and a lot of species disappeared. And the companies have not resolved the sewage problem, one of the conditions of the agreement. Indigenous Krenak lands did not appeared in the EIA, the hydroelectric plant changed the ancestral fishing practices, and affected the Krenak`s sacred relation to the river. At Aimorés city, the fishermen and small farmers were severely affected. Subsistence fishing activity is not viable anymore, and plantations that served to subsistence crops were flooded [1, 2]. The demand of local communities was partly the subject of a Public Civil Action of 2001. The Federal Public Prosecutor's Office of Minas Gerais pointed out numerous irregularities in the environmental licensing process of the hydroelectric dam, questioning the analysis of its impacts on affected communities and the socio-environmental viability of the venture. However, the Public Civil Action that dealt with these issues took 13 years to be judged in the first instance (from 2001 to 2015). Thus, most of the original claims of the action ended up losing object, among them the suspension of the implantation of the hydroelectric - remaining only the request for compensation of environmental damages or indemnifications . The fishermen of Aimorés also disputed the amount paid by the Aliança Energia, the consortium responsible for the plant controlled by Vale, as compensation for damages to fishing. Also, the compensation was paid only to 123 fishermen, but many others claimed in court for more than ten years for the right to receive it. In September 2015, the prosecution filed a new lawsuit against the plant, charging about US$ 10 million for moral damages and individual indemnification in the amount of US$ 20 thousand for each of the 123 fishermen. 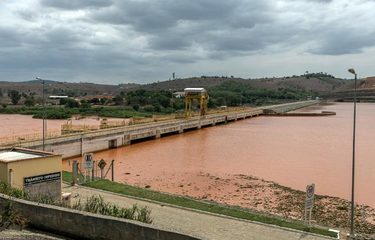 However, a few months later, when the Samarco (Fundão) dam, also controlled by Vale (and BHP Billinton), broke down, all communities affected by the Aimorés hydroelectric plant were again radically affected. The tailings of the Fundão dam killed the entire fauna of the Rio Doce. Now, the populations affected by the Aimorés hydroelectric dam, whose livelihood has been completely destroyed, are fighting for compensation from the mining companies Samarco, Vale and BHP . Project Details The HEP has a final installed capacity of 330 MW. Its a run-of-river project, the catchment area of the dam is 62,167 km2. The long term mean flow is 292 m3/s. The reservoir covers 30.9 km2 at the maximum normal water level (1). Development of Alternatives The affected people want their rights recognized and compliance with agreements. Why? Explain briefly. The hydroelectric power plant is in operation and the affected communities are still claiming their rights to compensation. Silva, R.G.S., Silva, V.P. Efeitos e processos de (des)territorialização na implantação da UHE de Aimorés (MG). Caminhos de Geografia. 2001. MAB – Movimento dos Atingidos por Barragens, 'O modelo de energia eletrica no Brasil e as grandes empresas brasileiras', in 'As empresas transnacionais brasileiras na america latina: un debate necessário'. Relatório da Rede Social de Justiça e Direitos Humanos, 2009. MPF/MG: consórcio da Usina de Aimorés é condenado a reparar danos ambientais. 12.08.2015. Folha de São Paulo. Pescadores do rio Doce já esperavam reparação antes da tragédia em MG. Lucas Ferraz, Avener Prado. 4 de dezembro de 2015.